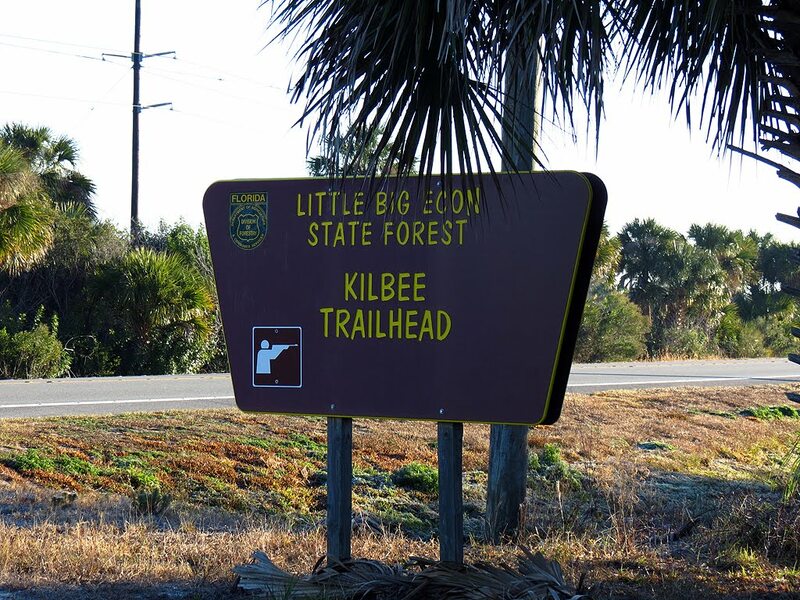 This writeup is about the section of the Little Big Econ area known as the Wildlife Management Area (WMA), with access points off RT46 (Kilbee Tract) and Brumley Road. Do not confuse it with the Little Big Econ State Forest, which is mostly west of Snow Hill Road. They are both known as the "Little Big Econ", but they are like night and day as far as access goes. 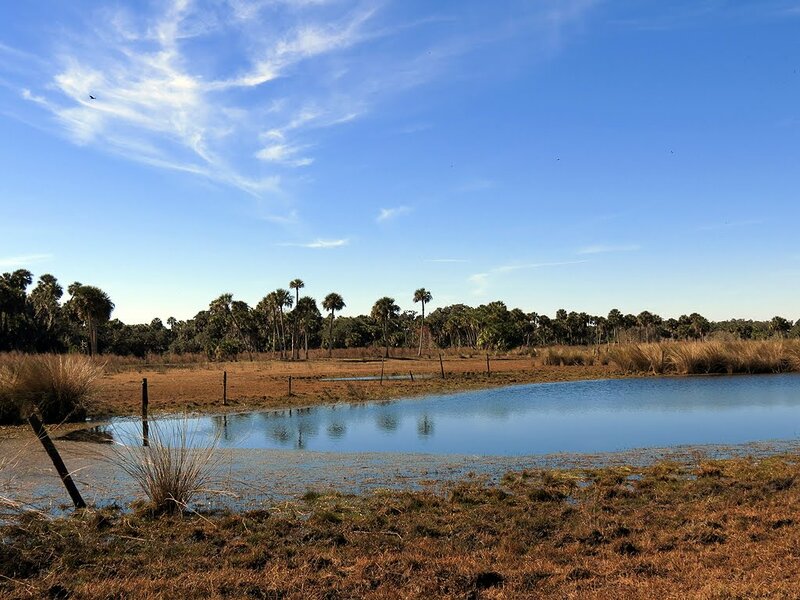 They are both under the overall control of the Division of Forestry, but the hunting is controlled by the Florida Wildlife Commission in the WMA section. It also seems [by the amount of cattle which roam the WMA] that the people who lease public land also have a lot of control over this area. This vast piece of property is bordered on the South by the Charles H Bronson State Forest and Brumley Road, on the East by the St Johns River, on the North by RT 46 and on the west by Snow Hill Road, as well as private property. The Econlockhatchee River runs through the property. There are a number of ways to access the property. I have entered the property from many points on the Econlockhatchee River and I also have crossed a bridge over a canal which links the Charles H Bronson State Forest (CHBSF) to this property. One of the main functions of this bridge is to allow Equestrian Users into the property so they can use the trails marked for them. I am told there is a public access point on Snow Hill Road which I am not aware of. There are two entry points where the Division of Forestry has installed iron gates, thus restricting access unless you want to climb over the gate. [Figuratively, it seems that this should be O.K. to do so] The access point on RT 46 is labeled “Kilbee Tract” and there is a nice parking area provided there, complete with a picnic table. 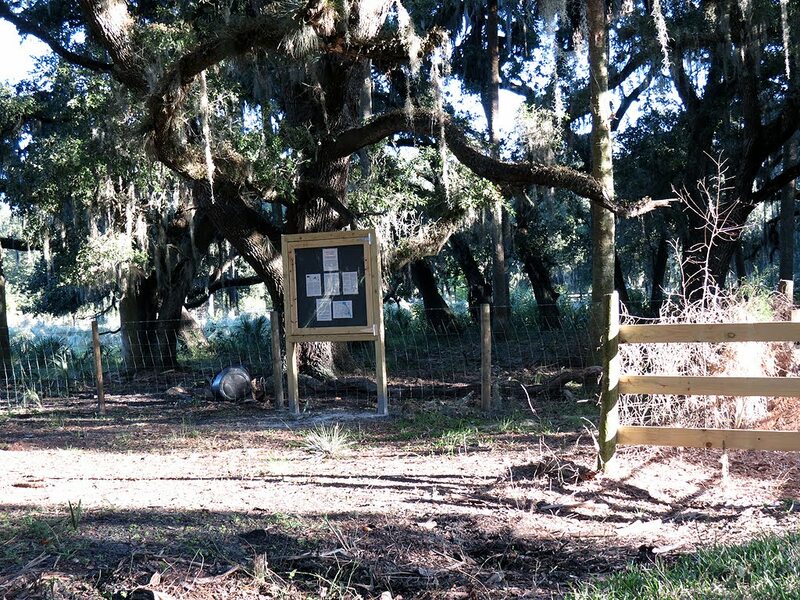 The gate there allows you access to all of the property north of the Econlockhatchee River. The other access point is at the end of Brumley Road. This is the only walk-in access point to the property south of the Econlockhatchee River, except the river itself or entering after a very long trek through CHBSF. This is a huge, beautiful piece of property. 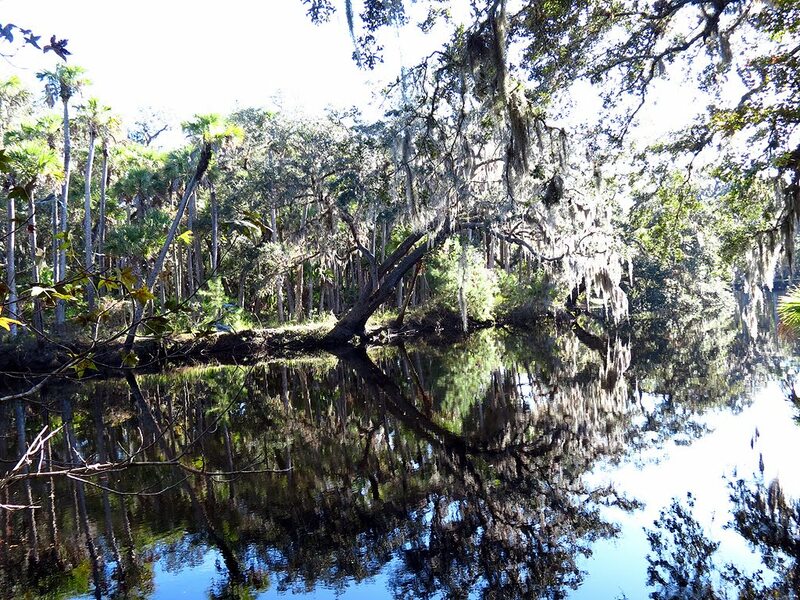 It is comprised of approximately 10,279 acres, located in eastern Seminole County and named after the little and larger Econlockhatchee Rivers. You can find out more about the history of the area by searching the web. You can tell if you look around enough that it once was an old Florida homestead. There are still some remnants of the previous owners, but time, natural erosion, and just plain destruction are burying what history is left. The old fence posts and barbwire are still around in many cases. You might see an old pen which they used to capture hogs I assume. 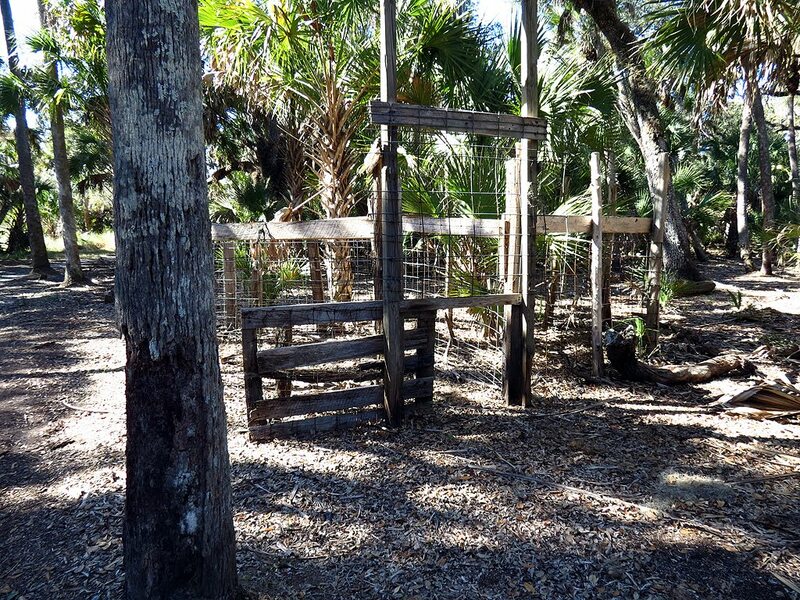 There are all kinds of ecosystems represented on the property, as well as a wide variety of wildlife. The major ecosystems represented include mesic, scrubby and wet flatwoods, scrub, sandhill, marsh, and a variety of hydric forest types. I would imagine that you will see just about every local species of wildlife available in this area if you looked hard enough. The FWC has numbered the main roads, so if you just stay on those you will see plenty. 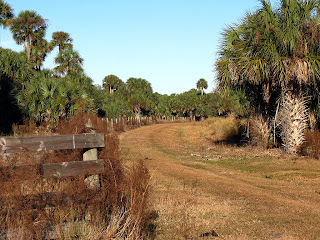 There are a number of old homestead roads which crisscross the property, as well cattle trails to explore if you so wish. 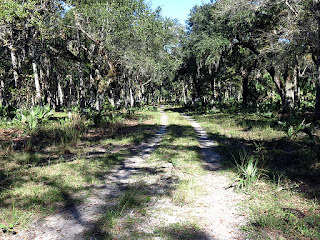 The area south of the Econ River is mainly pristine forest, it is wonderful. The section to the north of the Econ River is much more open in many sections; this was where most of the homesteading took place. There is no way to cross the river except by boat or I guess you could swim it, but after seeing some of the huge gators in that river, I wouldn’t recommend it! The Econ River itself is a beautiful thing in its own right. 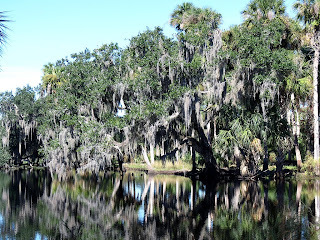 When you get down by the river you will run into cypress swamps and also magnificent oaks, draped in Spanish moss. 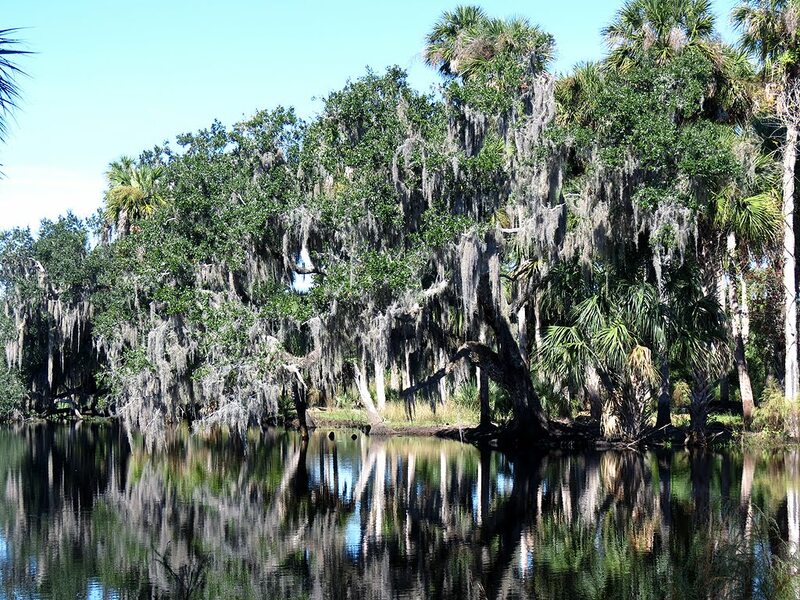 Depending on when you head out to visit the area, you can expect to find the sights, sounds, scenery and overall environment different each time. 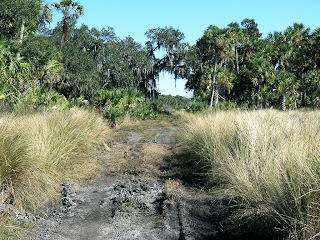 In the dry season you can access just about everywhere, most feeder creeks and tributaries are dry and passable. During the wet season, it is entirely different world. The creeks and tributaries are flowing quite briskly and many sections turn into lakes. The mud can be so bad you will just sink and get stuck. I have visited the property during both the dry and wet seasons, I wouldn’t miss either one – both show you wonderful things! I had reported earlier that there were some restrictions about access to this property. I have been informed that as of March 2012 that the Department of Forestry has become more "general public" friendly - that is very good news. They have opened at least the Brumley Road parking area for the general publics use. If you encounter any access problems, I encourage you to visit or call the Florida Forest Service, Little Big Econ State Forest, 1350 Snow Hill Road, Geneva, FL 32732, Telephone: 407/ 971-3500. Great write-up. One question I have for you, Is it allowed to hike through the cattle prairie? I have hiked a few WMA/Conservation/Parks that have had large cattle fields I moved through but I often worried they might fine me for trespassing or something silly. Often the best views/photo ops are in such large fields. I always reasoned it was public land therefore ok to be on. Any thoughts or info? As always, it depends. If the land is marked "no trespassing", then of course stay away from it. But in many cases, the land is leased from the state and as a citizen you should be able to enter it. I always border on the side of caution, but also go where I believe I should be able to go. This is a WMA and as such you should be able to go anywhere you want. Just don't enter the land during hunting season (see my hunting calendar). I have driven Brumley Road this week and that in itself is a terrifc nature drive. I look forward to going into the WMA for wildlife viewing, birding, photography and hiking. This area is wonderful. I hope this land and the natural areas around it are left alone for us now and for future generations. Seminole County needs natural areas like this to be a feature to increase property values by having nearby natural areas for people to "get away from it all" and enjoy the beauty and wildlife. It is a real asset now--leave it that way and don't allow anymore building nearby. Parking is not really allowed there but walking in is allowed. 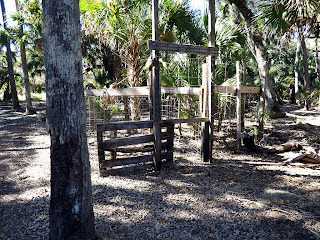 This is the hunting gate similar to Kilbee.